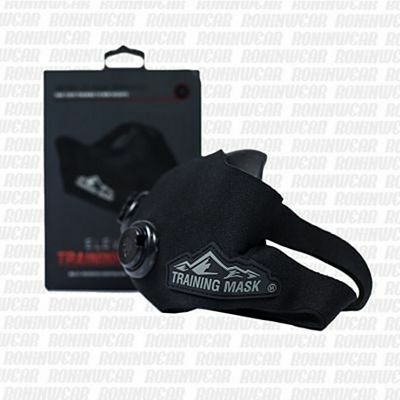 The original Elevation Training Mask was a revolution in the world of elite MMA competition because it helped recreate the effects of high-altitude training and, as a result increased athletes' endurance and lung capacity. 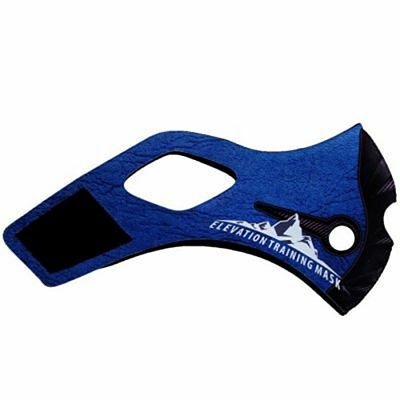 Elevation has since developed an improved version of their mask: smaller, lighter, more flexible and comfortable, but with the same qualities as the original. 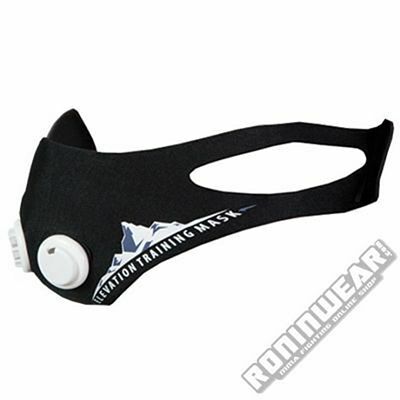 This new version has been named Elevation Training Mask 2.0 and is suitable to wear during grappling sparring. 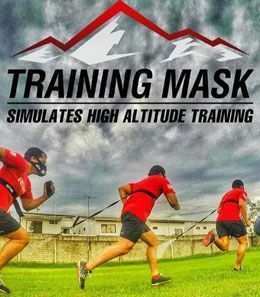 Just like the original, the Elevation Training Mask 2.0 is designed to simulate the effects of training at high altitudes, something which elite athletes do in order to boost their performance when they compete at sea level. 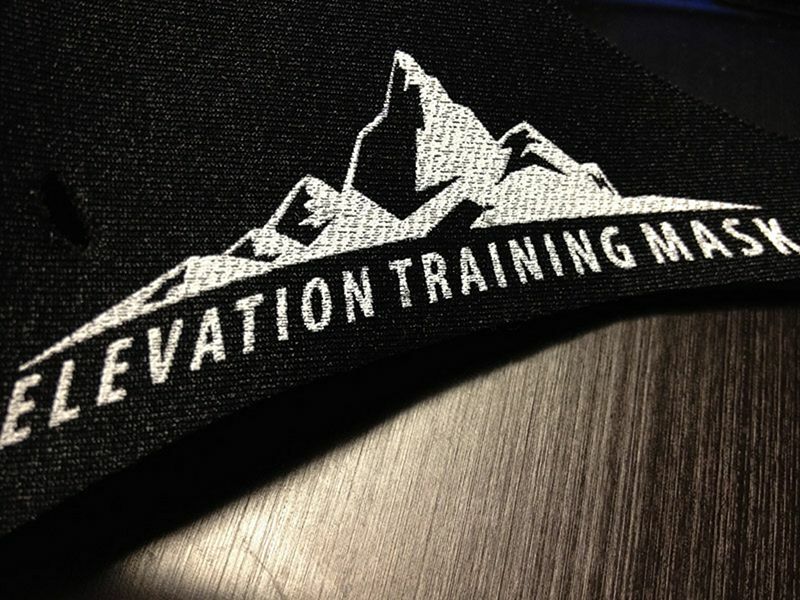 The benefits of high-altitude training include improved strength, speed and endurance. The mask regulates the amount of air you can breath in so that your oxygen intake is decreased, leading to changes inside the body. The production of red blood cells and new capillaries (small blood vessels) increases oxygen transfer from the lungs to the rest of the body in a more efficient manner. It is therefore perfect for any elite athlete including cyclists, triathletes, cross training and functional training athletes, etc. 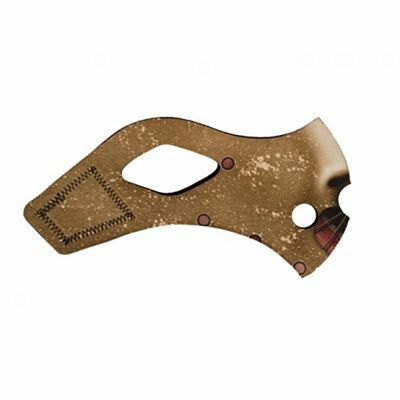 A rubber mask for placing over the nose and mouth. Valves and filters for air regulation. 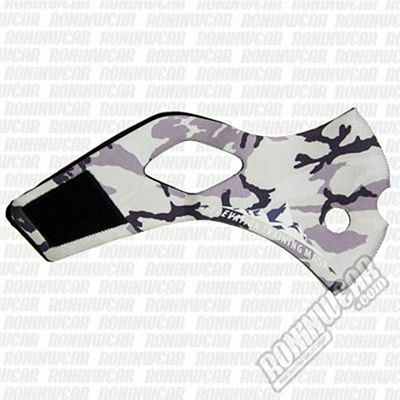 A black sleeve for securing the mask. 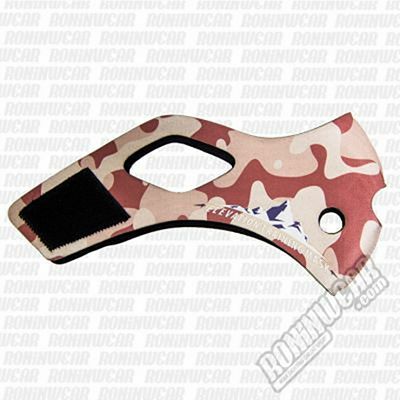 A head strap for extra secure fit. 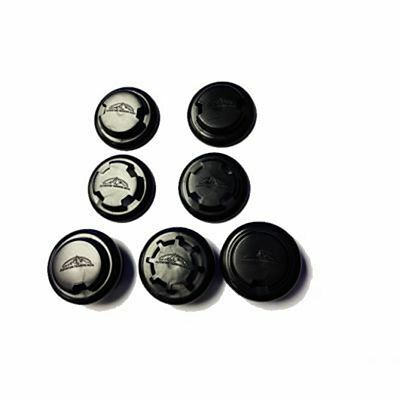 An instruction book explaining the different filter combinations for a higher or lower altitude effect. NOTICE: We cannot accept returns on this product due to hygiene reasons. We recommend that you speak to your doctor before using this product. S = < 68 kg. M = 69 kg - 105 kg. L = 105 kg - 136 kg. Measure from the centreline of your face at your mouth to at least 1 inch (2.5 cm) past the outside corner of your mouth (you might want to ask a friend to assist you). 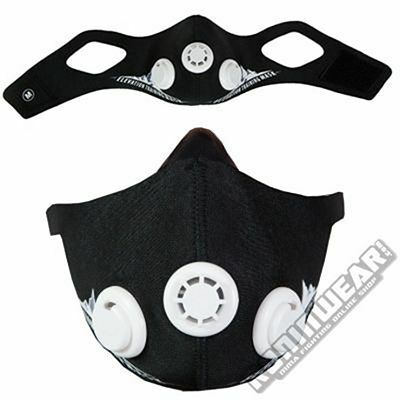 The outer edge of the Training Mask should sit against your face at 1 to 1.5 inches (2.5 to 3.8 cm) outside the corner of your mouth. S = 10,2 cm or 4 inches / 45 kg - 70 kg. M = 11,4 cm or 4.5 inches / 70 kg - 115 kg. L = 12,7 cm or 5 inches / 115 kg - 140 kg. 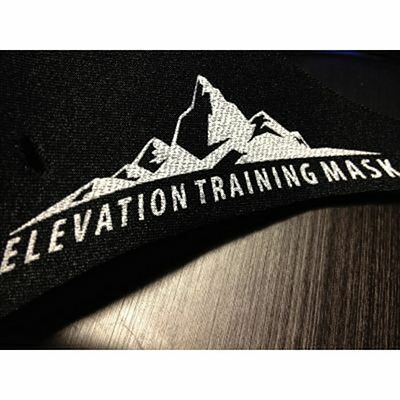 Have you found an Elevation Training Mask somewhere at a much lower price? Be careful, since it is likely a counterfeit mask. 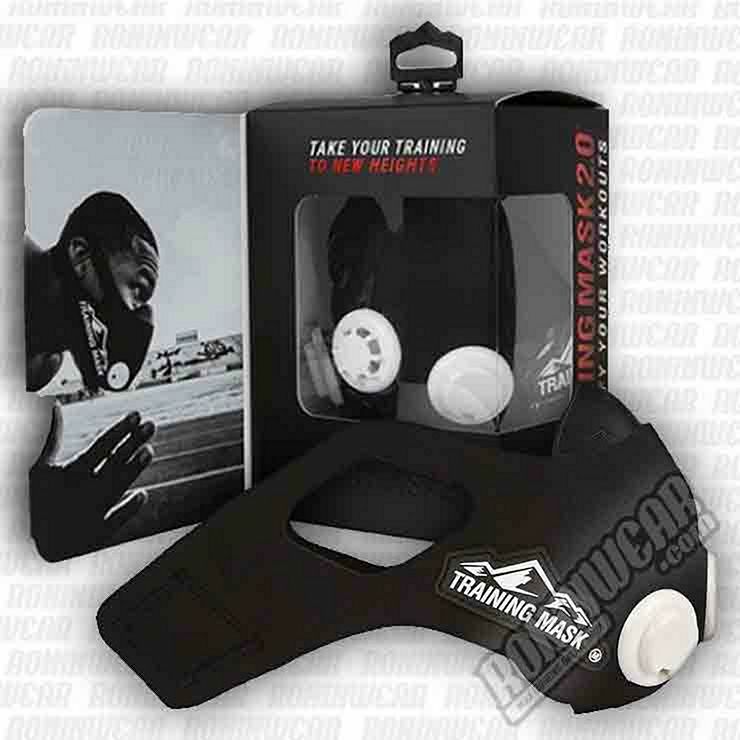 The clip below shows some security measures added to the packaging of genuine Training Masks.